This entry was posted in My Art & Writing and tagged art, beauty, fashion, generations, humor, love, memories, musings-thoughts, poetry, prose, relationships, romance, self-acceptance, technology. Bookmark the permalink. This was an absolute pleasure to read. Loved the bit regarding the new crop of lovers. So damn true. Keep up the good work! Must start with the art first, because I’m so excited to see that your pencils and pens and whatnot are sharpened and with the guidance of a true artistic hand are making art again. Yes! Yes! Yes! 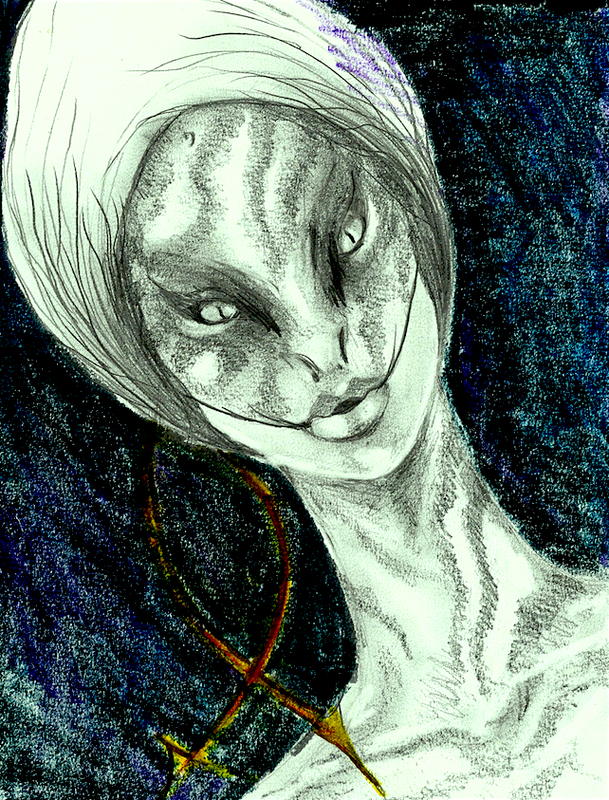 I love this slithery woman, AM (and knowing my reptilian phobias, that’s saying a hell of a lot! LoL). Those eyes, those eyes; again, again. “truth,” not ‘true.’ Not even imbibing wine yet. Oh my. I am not only glad you created her, I’m glad you posted her (hmm, somehow that sounds weird; well, you know what I mean). 😉 Your perfectionist eye is much more acute than mine–to me, she simply ssssizzles. Sometime I’d like a master’s class (even though I’m a kindergartener) from you on shading, which I believe my dad tried to teach to me but I was too ADHD to listen. And the duality of the verse, I did get that and thought it worked exceedingly well. Art great, verse great, great-great. Excellent, as always. Love the art.